Barber Osgerby with his original and futuristic ideas for decorating any spaces of a construction , has been created beautiful pieces of furniture for interior design. One example is a reception desk for their entrance hall at the headquarters at 66 Portland in London, which originally was designed by Grey Wornum architect. 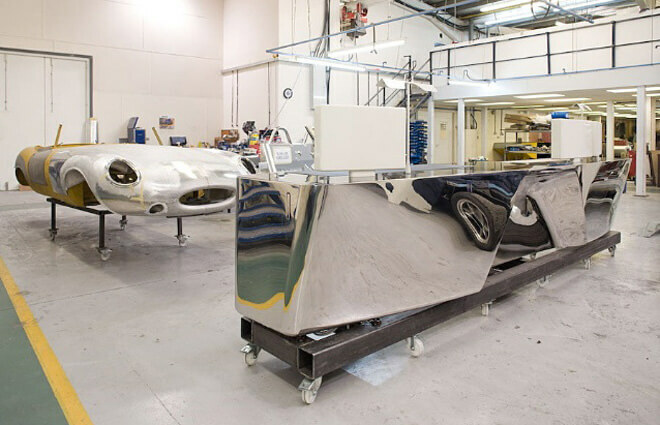 The main material used for creating this desk is mirror polished stainless steel. The desktop surface is made of black glass with hand-stitched leather inserts, but fore more description and information you can view the sourse. Below there are some pictures of Bespoke reception desks designed for landmark RIBA building in London. I know what you mean, As a salon owner you know that a salon reception desk is a must. As it’s been said, you never get a second chance to make a first impression. So you want a gorgeous salon reception desk when customers walk into your salon. So to start off in the right direction, determining which salon reception desk fits your needs is a good place to start. Besides locating the right furniture for your salon or spa, you’ll also want to think about some other very important factors when it comes to decorating your place of business. This ext is worth everyone’s attention. Whenn can I find out more? claim that I acquire actually enjoyed account your weblog posts. I’ve read a few excellent stuff here. Certainly price bookmarking for revisiting. I wonder how much effort you put to create the sort of great informative web site. Thanks for sharing excellent informations. Your site is very cool. I’m impressed by the details that you?¦ve on this site. It reveals how nicely you perceive this subject. Bookmarked this website page, will come back for extra articles. You, my pal, ROCK! I found just the info I already searched everywhere and simply could not come across. What a perfect website. I have been reading out some of your articles and i can claim pretty good stuff. I will definitely bookmark your blog.